Australians are ranked as some of the most prolific social media users in the world. In fact, as of February 2018, Instagram had nine million active monthly Australian users and was the third most popular social network in Australia, after Facebook and YouTube. 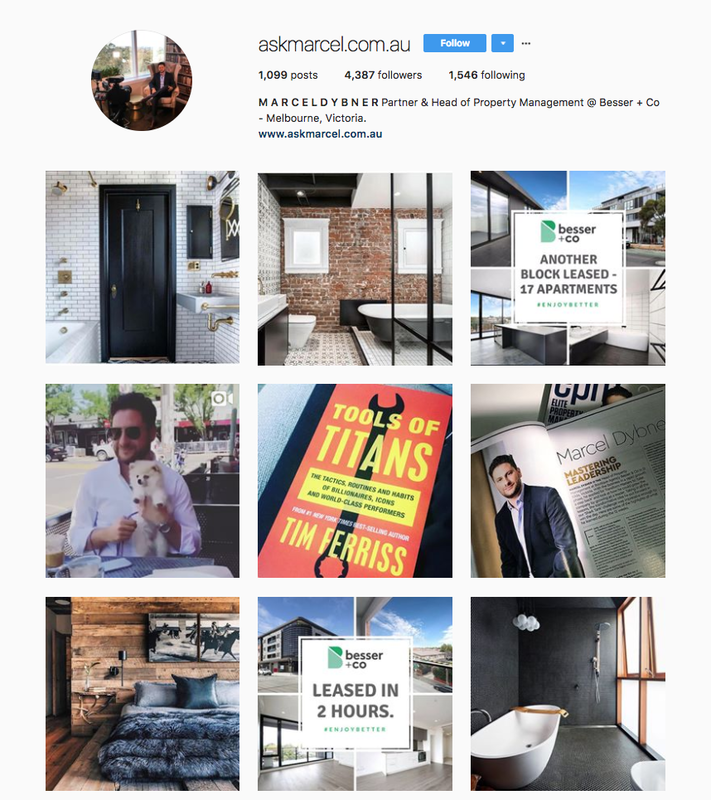 With one in three Aussies using Instagram, real estate businesses and agents can't afford to miss out on the massive potential to reach and engage with a whole generation of buyers, sellers, renters and locals on a daily basis. With Stories, Highlights and algorithm changes, breaking through all the noise and clutter on Insta can seem overwhelming and challenging, to say the least. Here are six tactics that’ll help optimise your professional Instagram page and boost engagement. A lot of agents fall into the habit of posting stock images and professionally shot photos and videos of their listings to their Instagram accounts. However, the best way to engage users is to put the effort into providing personalised ‘behind the scenes’ content they can’t get anywhere else. For example, take a picture or video of yourself at a listed property and share a little tidbit about what makes the home, views, location, previous owners or suburb etc. particularly special or interesting. Alternatively, post a shot from the making of the listing video or the professional staging and photoshoot alongside a tip on how to prep a home for sale to offer more value to your followers. Give followers a glimpse into your personal life by sharing the occasional morning coffee, weekend brunch or evening run at sunset shot. These kinds of posts resonate particularly well with Instagram users by making them feel more personally connected to you. When people take time out of their day to comment or ask a question on one of your posts make sure you leave a reply in a reasonable timeframe and maybe even get a conversation going. Don’t forget to tag them using their Instagram handle in your replies so they receive a notification to get a back and forth convo flowing. You don’t have to reply to each comment as it happens, take a couple of minutes out of the day to review and respond to any new comments or messages from the past 24 hours or so. You never know where your next listing, referral or sale could come from! Be strategic about which terms you use in your Insta handle, bio and hashtags to grow your following. For an effective handle and bio add the keywords that are most relevant to your business so users easily find your feed when searching for those specific terms. Your service suburbs, franchise name and ‘real estate’ are three of the most important to highlight in your bio. Use hashtags and geo-tags in every post to also ensure your page and content is easily discoverable. We recommend adding a list of around 30 relevant hashtags in your comments section to maximise your account's searchability without compromising the flow and readability of your post captions. If you’re stuck for ideas search for a key hashtag you frequently use to see what kind of chatter already exists and to find out what other hashtags are typically used alongside it that you can gain momentum off of. Instagram’s newer features like Stories and Highlights are fantastic ways to grow engagement, drive traffic to your website and even generate enquiries. Increase your chances of appearing at the top of your followers' feeds by regularly posting new Stories from your account. Best of all you can see exactly how many people engage with and who watches your stories through Instagram Insights. You can also add external website links into your Stories, so it’s a great way to share a quirky open for inspection Boomerang preview and link to the listing page or to showcase your latest blog feature article. Stories only last for 24 hours so it’s a good idea to add them to the top of your profile for as long as you want by Highlighting your favourite Stories. That way none of your followers will miss out on your latest news, auction results or must-see listing if they haven’t logged on in the past 24 hours. If you’re going to put a lot of time and energy into fostering growth on your Instagram account it’s important to accrue as much external value for your business as you can, separate from the platform. Add additional links to your bio link using a service such as Linktree or Link in Profile to direct followers to as many external websites as you want. Add a link to subscribe to your newsletter, send people to your company website or YouTube Channel, your professional bio, listing pages, upcoming open home lists or to your blog to ensure they can find out additional information and easily get in touch if required. Hopefully, these five strategies allow you to effectively increase your reach and engagement levels on your Instagram page. Are there any other tactics you've had great success with on social media in the past? Please feel free to share them in the comments section below. Homely.com.au is a new way to search for Merrylands real estate for sale and properties for rent in Sydney. 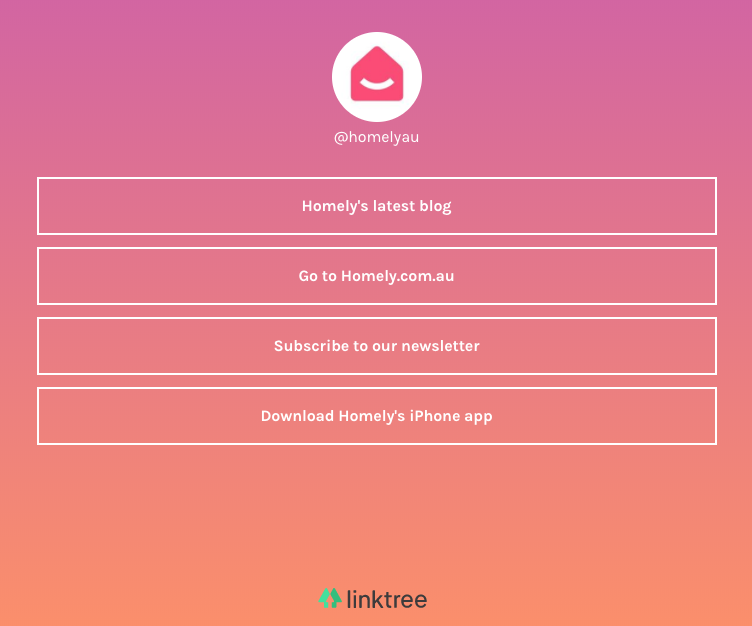 With over 340K listings and 500K local reviews and insights, homely.com.au is a faster and easier way to search for property to buy and rent in Australia.